Catalina Gale: Monstrous Waves! 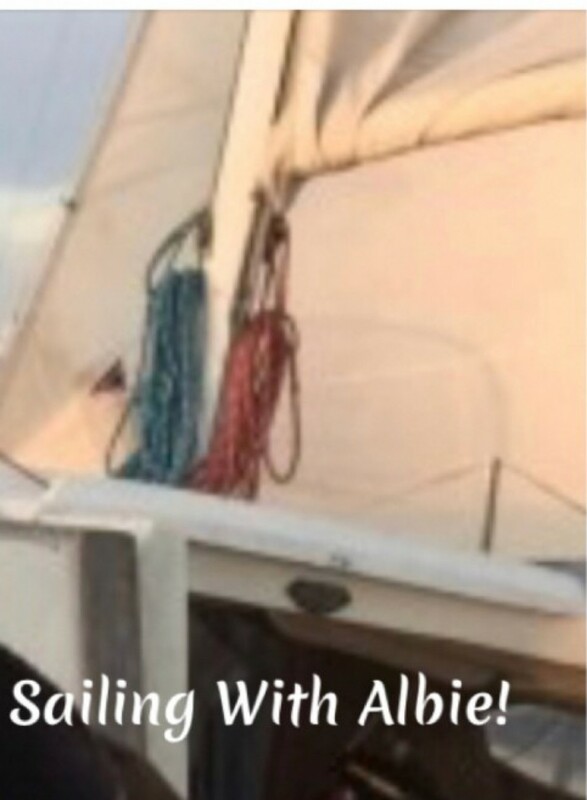 | Sailing With Albie! Welcome to Sailing With Albie! I love sailing, hiking, personal motivation, business and sharing what I love with others! Feel free to check out all my exciting adventures at my websites below! Today I want to share with you an excerpt from a horrendous storm my friend and I got into just off of Catalina Island a few years back. At the crack of dawn we got on the cell phone right away to call the guys. “Hello? Yea, you all need to take the tent down immediately, and …..What’s that! ?“ To our shock, not only were they awake, but they had already broken camp. Furthermore they had also hiked with all their gear into town, and were in fact in the proximity of the pier. They were waiting for us! Man, the Navy S.E.A.L.’s could definitely use these guys. We got everyone on board, and ate an improvised breakfast (this would unfortunately not be the last time we would see our food as we quickly gulped it down), so as to gain an immediate departure. We checked the weather one last time for good measure. This time it was predicted for breaking seas, and very high winds. But not until the evening. We could already see the tops of the palm trees moving from the wind as it attempted to blast through the narrow isthmus, but it was otherwise a beautiful sunny day for all we could tell. For good measure, we lashed everything down, and set up a jack line to snap into, incase we should have to leave the safety of the cockpit. We also reefed down (tie it down so it is smaller) the mainsail, so as to prevent the boom from injuring someone, assuming it would be inevitable to do so latter anyways judging from the increasing wind. Even with the shortened sail, we made surprising good speed as we zipped out into blue water. The truth is that I hardly got any sleep during the night, even though I had felt exhausted. It was starting to catch up to me. I told Albie that I was going to lie down for a few hours, so that I would be rested in case things got worse latter. As it turns out, later was not far away. I was just about to drift off to sleep when I could feel the bow of the boat being jolted with increased violence. I could overhear Albie telling Max that the boat was refusing to stay on our course. I climbed out into the cockpit, and was interested to see that the surface of the ocean was covered by whitecaps. The wind was strong enough that with our jib sail still up, it was impeding the bow of the boat from heading up. I put on my upper body harness, and clipped into the jack line before leaving the safety of the cockpit. I began to make my way forward but was immediately forced onto my hands and knees, in order to keep from being thrown overboard. With some difficulty, I was able to pull down the fors’l (for-sail), and lash it off to the lifeline. This being accomplished, the little ship was now capable of heading up a little further into the wind, which allowed us to get back on course. Unfortunately, during the brief time that I was on the foredeck, the pounding of the bow in to the weather began to have its effect. It was not long at all, as I was hanging on with both arms and legs to the stanchions, sea-sickness began to overcome me. The wind was powerful enough that even with the jib down, the boat was heeled (leaning) over a good 25 degrees. I remembered the words “One hand for the ship” meaning that at all times you are supposed to hang on to the boat no matter what else you are doing. And hang on I did. As I yakked over the windward side of the vessel, the chunks flew straight back towards Albie, who was at the helm, carefully keeping the boat on a close reach. If the boat fell off the wind at this time, I would easily get thrown overboard, and harness or not, it would no doubt result in injury. I thought some of the vomit had hit Albie, but with so much spray and wind it was hard to say for sure. My Son Brad was out in the cockpit for quite a while, but only Albie and I had upper body harnesses rigged up. Twice we felt the boat toss and lurch so hard that we both looked over apprehensively at Brad who seemed relaxed and calm despite the building madness, as he was resting on the starboard side. If the boat were to capsize suddenly, he would be thrown into the drink, no question, and the vessel was starting to respond as if she might do just that. We suggested that he retreat into the safety of the cabin, which he obediently did. Well, this was certainly not a good start to our return voyage. I kept looking back earnestly at Catalina wondering if we should not turn back. However, by now we could not find any shelter on this side of the island, and besides, we were already at least a quarter of the way across the channel. I was disconcerted that the swells began to get steeper, and the frequency (how often the waves would hit us) was also increasing. I just kept vomiting as the weather worsened, and began to feel my energy draining, despite the adrenaline and exhilaration of the wind and the building seas. The little boat began to really get pounded from the steepness of the seas. It was as if we were driving into literal solid walls of water. And it was relentless. Most people can never appreciate the power of the substance otherwise known as H2O. — While being a liquid, seawater actually weighs in excess of 8 lbs. per gallon, or 64 lbs. per cubic foot. That is of course when it is stationary. When it is being driven by the wind, its power and weight becomes exponential. Then add on to that the force of it breaking down on top of you as it swirls and collapses upon itself, well you really don’t want to be in its way at this point. But of course it was too late to choose to be safe and dry at home watching TV. As the vessel fought to climb over these ever increasing mountains, we could all feel the entire hull shudder from the violence. Upon the pounding of each consecutive wave, the fiberglass would literally bend and twist under the great pressure. My concern was mounting as my thoughts began to consider the gravity of the situation we were in. Just how much punishment could this little ship take anyways? Certainly not much more. What would we do if she began to break apart?! I did not want to even consider that possibility. Of course that’s when I did what any logical person would do: Pray. “Lord, please don’t let the mainsail give out. Just help us get these young men back safely.” I began to feel this huge burden of responsibility for the safety of these young lads, especially since their Moms had entrusted us with their well being. To our amazement the waves just kept getting bigger and bigger, and BIGGER. It became ever more urgent to steer the sailboat with the uttermost skill and accuracy. The seas were starting to get confused (like a washing machine). If the helmsman misjudges even a single wave, it could be all over in less than a second. When the waves get that big proportionately to the vessel, it becomes necessary to pick the exact course of the sailboat as it weaves in between the breaking whitecaps. It’s like playing the video game Pac-man, where little goblins are trying to devour you, and all you have to do to avoid “game over” is to out-maneuver them. At the last minute some of the waves would be bigger than anticipated, and rouge waves were coming upon us from our quarter as well, just within the peripheral vision, and sometimes looming over us seemingly out of nowhere. This was just a little too intense. ONE mistake, and I mean only ONE, and the boat would be thrown sideways (known as broaching*). That is a guarantee to be knocked down (on to your side), and possibly rolled over and over, while taking on water, and most likely resulting in the mast snapping off. And of course that would be getting off easy. 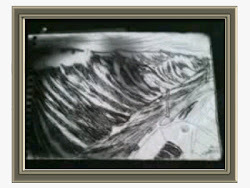 The balance is to maintain enough SOG (speed over ground) to be able to get over the top of the crests of the mountains of water, but too much speed and it subjects the boat to pressures beyond its ability to withstand. The result is that it can and will break to pieces. Speed is obtained as you surf the boat down the back side of the wave. Unless the vessel is turned gracefully at the exact moment it is arriving into the bottom of the trough, the bow will dig into the oncoming face of the next wave, resulting in what is known as pitch poling. This is an even more horrific scenario, where the boat literally attempts a somersault (usually not successfully). The boat comes to a screeching halt, and is then propelled backwards, jamming the rudder off to one side, or snapping it off altogether. Then you go sideways, and …..yes you guessed it….refer to the previous paragraph pertaining to broaching*. As Albie and I took turns at the helm battling against the unmerciful conditions, we were both awestruck at the sheer monstrosity of these waves. In-between waves, when free falling down into the trough, we would literally be obscured from everything around us, including the wind. ” That about says it all! I just couldn’t believe I was seeing twenty foot waves out here only coming back from Catalina! I had heard of waves this big, but to see them in real life was just amazing and scary at the same time. You would not believe how much fear was building up in me. I couldn’t even see getting home safely anymore. That just seemed like a dream to good to be true. After talking to God at this point, I felt this unbelievable peace and knew I was in His arms. I must say one last thing. Even though I was feeling SO sick, I remained on deck to help Brad in any way I could. Looking out at the ocean,it was terrifyingly beautiful – if that makes sense! I will leave it at that. But stay tuned for part Five! If you haven’t signed up your email to stay connected to the blog-sight – do so! That way you will be the first to know when the next section comes out and can finish reading the story! Thinking about a vacation! Get your FREE $200 VIP Card TODAY by clicking Here. 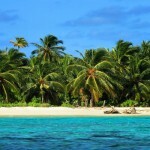 This card will give you the BEST Hotel rates available!